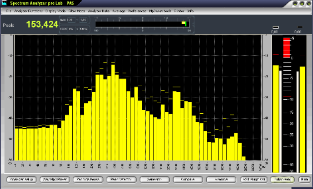 Spectrum Analyzer pro is a comprehensive application that will turn your computer into a modern spectrum analyzer. This will provide you with features that go far beyond the possibilities of any stand-alone hardware unit. The application can be configured in a number of different ways, to accurately model the ballistics, responses and graphics of a wide range of standard peak programme meters. The Spectrum Analyzer can scan a wave or mp3 file, then calculate the average of all bars (amplitude) for the elapsed play time. The Wave Player allows you the opportunity to load a pre-recorded Mp3/wav files and run an analysis of the data. All data contained in your sampling will be shown. 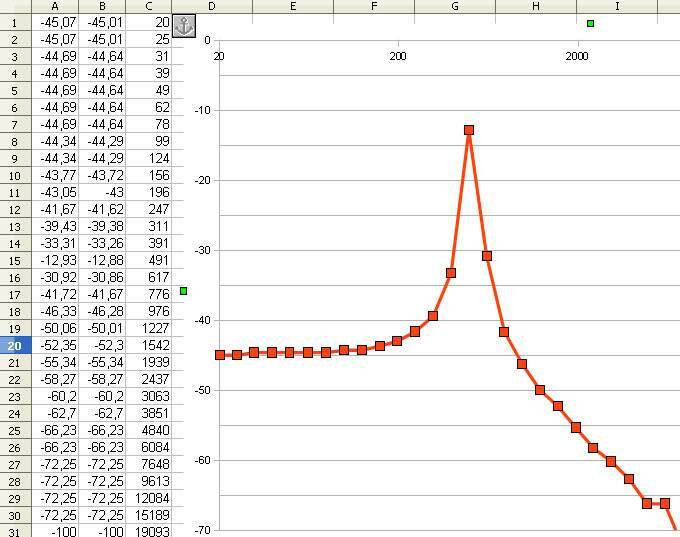 Any changes made to the sampling rate will be automatically detected by the Spectrum Analyzer. The Locator is very practical when you work with big Wave files. Generator leveling calibrated to 1/100 of a dB. Choose between 1 minute up to 60 minutes. The Leq Calculator shows you the Leq max and the actual Leq (m) dB values. It shows you also the Leq from the 10 frequenies. You can create a CSV file to load it in Excel or save the whole protocol in a text file. Comparable with the attack time of a limiter. If "none" is activated, this means that the present peak value is shown in the shortest and most precise way. If 5ms to 20ms is activated, the display is reduced to a mathematically calculated average value; the analysis of the display is now easier for the human eye. The effective peak values can be metered via the function "Displays always dBFS". The frequency ranges of all four Frequency Zooms are user-configurable.The numbered Frequency Zooms (1 - 4) store ranges for the frequency (X) axis of the analyzer plots that can be recalled with a single keystroke Crtl & F9- Crtl &F12. 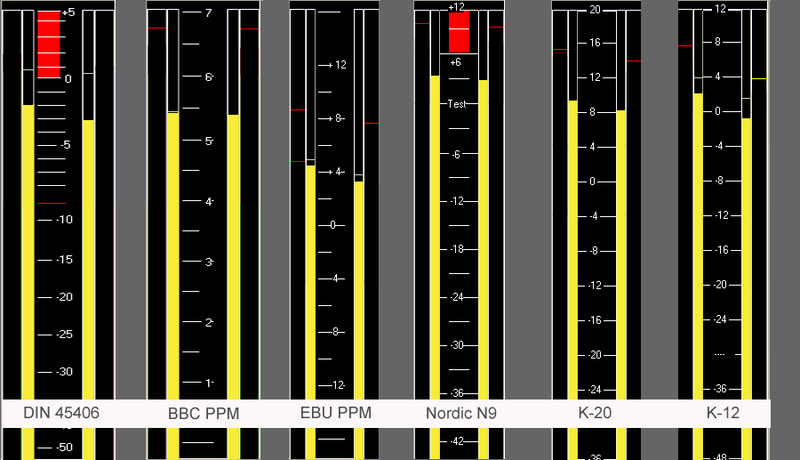 You can control the -3dB Values of the Bars. The Spectrum Analyzer can scan a wave or mp3 file, then calculate the average of all bars (amplitude) for the elapsed play time. For example, if you have a 10 sec audio file, with a sampling rate of 44100 Hz, using an FFT of length 4096, there will be 901,120 different values. The program calculates the average value of each bar, then displays it. When the entire file has played, you will see the average off all bars over the entire time. In other words you can see the dynamics of the sound file. It is also possible to compare results between files. You may load and compare up to 6 files using the Compare Files dialog box.